Posted on November 13, 2015 at 4:00:00 am by Kayleen R.
Some people say Christmas is for kids. 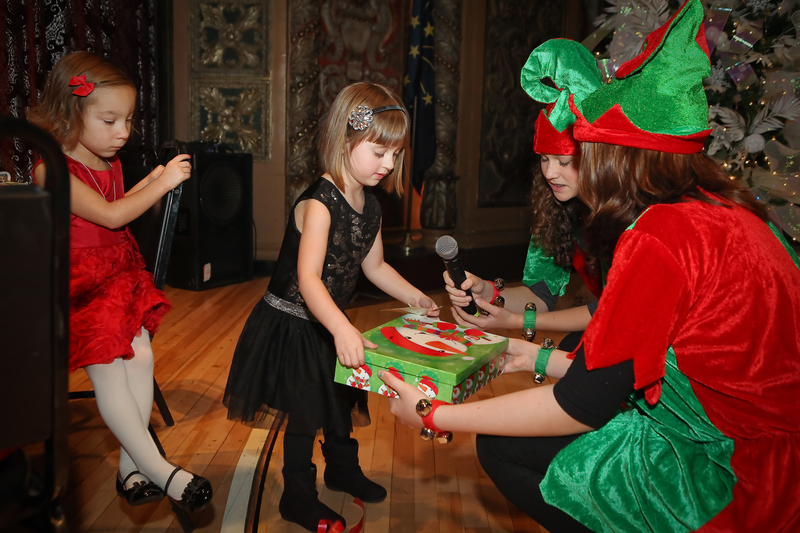 That is certainly true at Breakfast with Santa at the Embassy Theatre in downtown Fort Wayne. The Embassy Theatre is a glamorous historic building that might not seem like the perfect place for tots. 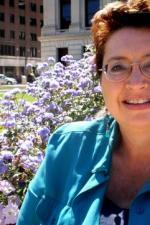 But for decades the staff has put together this event that is tailored for children and yes, even teens and adults. Santa and his better half, Mrs. Claus, are the stars as children, often dressed in holiday attire, arrive early to have photos in the lobby. When Mrs. Claus leads the little ones into the theater and onto the stage, they sit at decorated tables with name tags so families are assured of sitting together. A skilled organist plays Christmas songs on the magnificent huge white Grande Page Pipe Organ. Breakfast consists of food from McDonald&apos;s, and Ronald McDonald is there to perform magic tricks. The kids can even make a craft or take home the supplies to make it there. Embassy elves help those that need it. 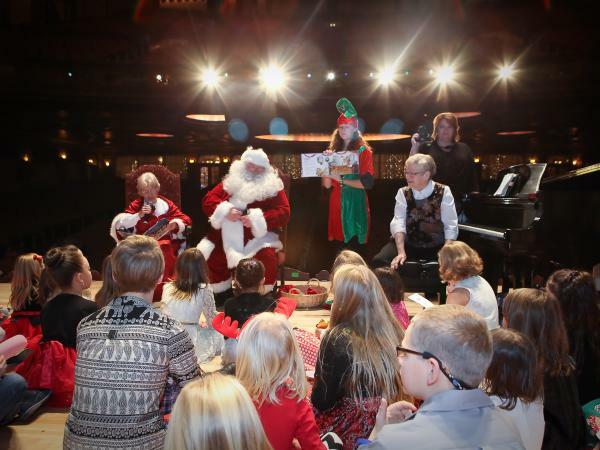 Santa appears on stage and walks from table to table, interacting with the guests. Children sit on his lap and more photos are taken. Mrs. Claus reads a story to the group and leads them in a sing-along with kids sitting on the floor around her. 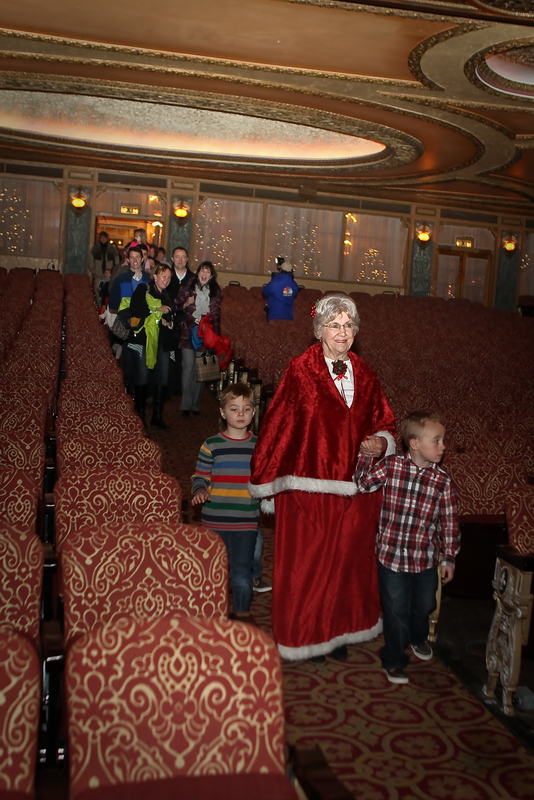 When Mrs. Claus leads the group down the aisles out of the theater to Santa land, the Breakfast is officially over. Another great thing about the Breakfast is that tickets include admission to the 31st annual Festival of Trees. This is a beautiful opportunity to see some of Fort Wayne&apos;s talented florists and other artists present decorated trees in the Embassy halls and upper balcony. Some families have made attending the Breakfast with Santa an annual tradition. Parents who grew up attending the Breakfast now bring their own children. This magical time for families happens on the mornings of November 27-29. The Breakfast begins at 9:30 and is over at approximately 11 am. The event has become so popular that extra days have been added to accommodate the demand. Purchase your tickets at the Embassy box office (not Ticketmaster) soon. Tickets: $15 per person. 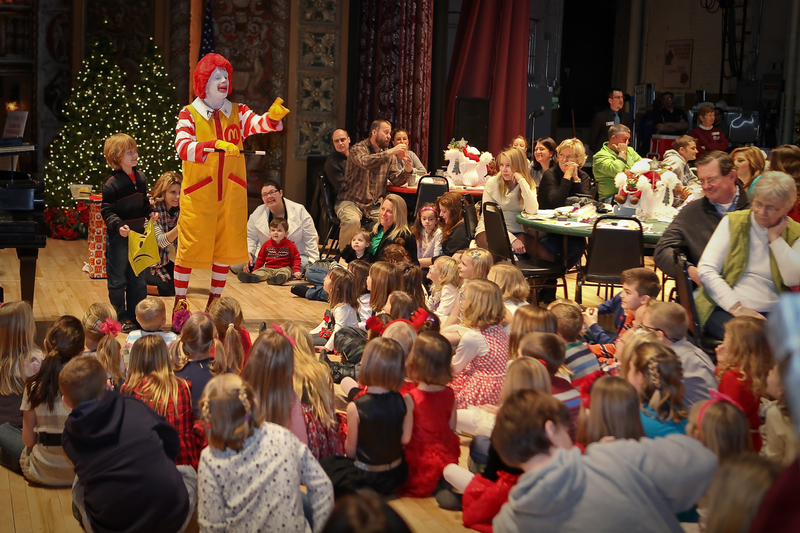 Don&apos;t wait to participate in one of Fort Wayne&apos;s finest family Christmas events! Stop by the Embassy box office ot get your tickets at 125 W. Jefferson Blvd. For more information on Holiday events, check out Visit Fort Wayne&apos;s website or stop by the Visitors Center located at 927 S. Harrison St.